Proof Prints are the proven best method of presenting your images to the client, in anticipation of Album Orders. 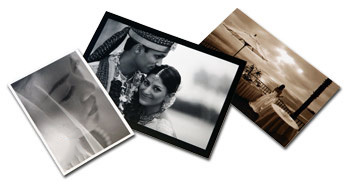 At Alkit, we put tremendous care into the quality and consistency of your proof-prints. All of our proof products can be ordered quickly, and easily using Alkit ROES. All of our proofing options require a minimum of 50 prints to qualify for proof-price. Alkit has developed its reputation for consistent, exquisite-quality proof prints. Our premium proofs are renowned for color-consistency and vibrancy. Skilled technicians analyze EVERY IMAGE, making density and color corrections to ensure that every image presents the best quality. Premium Proofs are delivered in decorative black boxes to properly represent the quality product contained. For those studios that rely on proofs, but must offer a more economical product, Alkit provides ExpressProofs! ExpressProofing is a new service designed to save you money on your proof-print cost, while still being able to deliver the quality and color-consistency that you have always enjoyed at Alkit. ExpressProofs are printed on Kodak Edge Paper and shipped within 24-hours! Multi-Proofs are printed on 5x5 Kodak Endura Lustre Surface. This unique product automatically prints 3-versions of each image on every print; Color, B&W, AND Sepia! Your client is able to see all three versions of every image. Photographer/Studio Copyright information as well as file names are printed front and back. The Premium Multi-Proof includes Full Color-Correction. Express Multi-Proofs are not color-corrected, and are extremely affordable! Our 4x6 PinchBook is reusable, expandable, and uses no harmful and messy glues. Pull back the cover and the spring-clamp opens up, insert the pages, and it snaps back together. The unique spine creates a secure binder, however the cover can be easily re-opened and pages swapped. Holds a maximum of 40 prints. Proof Books are available in 8x10, 8.5x11 and 10x13. Each size is available with 4, 6 or 9 image nodes. See Alkit's LabPrints for the complete selection of Proof Book Page configurations. Select font, text color, text style, background color, stroke color, and more. Customize the cover page with one or more image and other user-defined text including date, location, etc. Choose to have your proof pages printed with or without the file name below the images in a variety of colors.